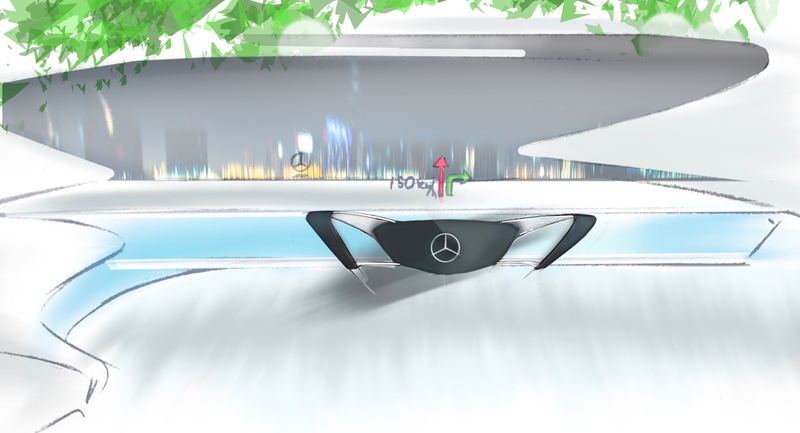 I created this visionary concept car as a car design enthusiast and the concept may not follow real Mercedes-Benz design philosophy. The Mercedes-Benz Silent Luxury is created from the aspect of futuristic design; the concept car includes materials and technological innovations that don’t really exist today. 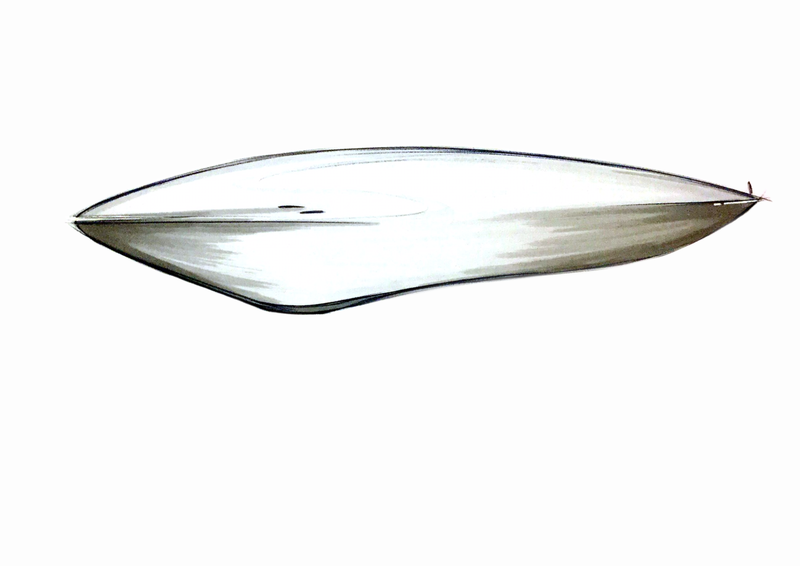 Check out additionally more realistic car designs of mine, if you are interested in. 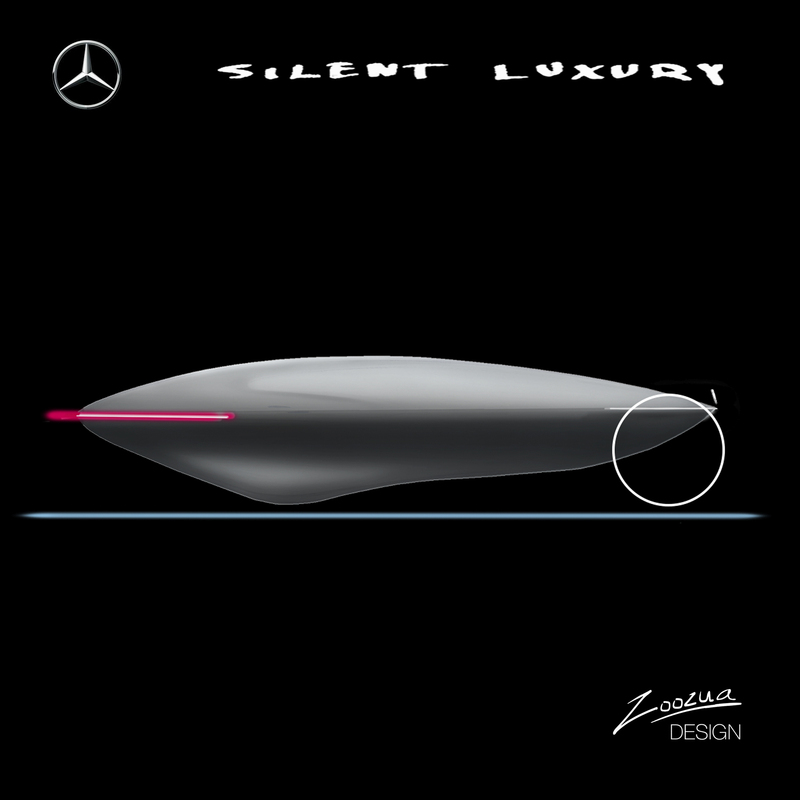 “In Silent Luxury concept, sensual purity (Mercedes design language), means visual harmony between old and new, between organic and industrial. The design is all about visionary lines of the exterior and emotions of the interior”. The Mercedes-Benz Silent Luxury is a huge, luxurious car from future. 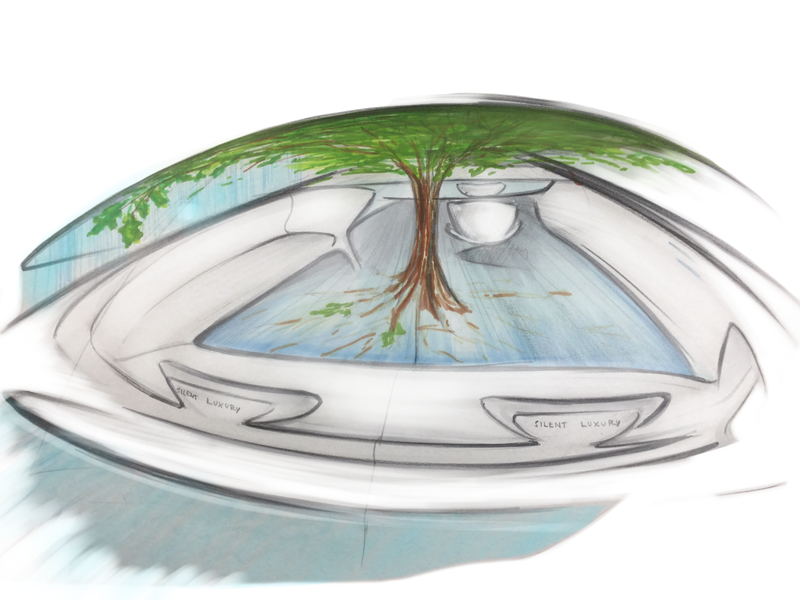 Inside the car there is a real, living tree that is planted and selectively breed for use of automotive industry. Around the tree, passengers sit on lounge styled sofas. Behind sofas you can hear the sound of running water. The ”waterfall” is one part of climate control and watering system of the tree, at the same time. Traveling on the flying, lounge styled garden, and hearing the relaxing sound of water. -Is there anything more luxurious? 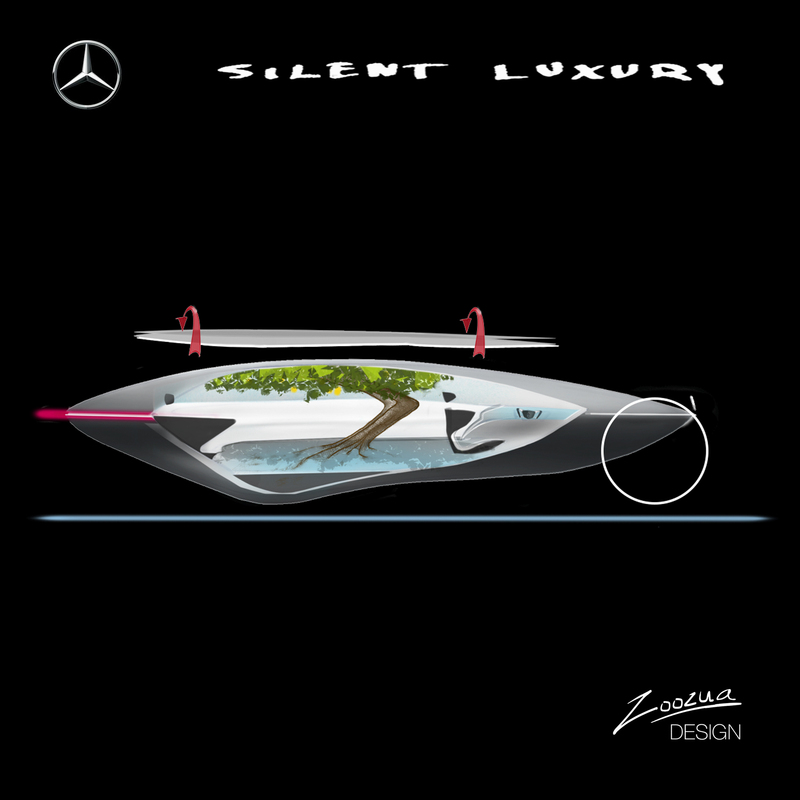 The Mercedes-Benz Silent Luxury does not offer organic design only for passengers, but at the same time to people around. The vehicle is covered by organic fibre that is able to photosynthetic reaction; the car makes some oxygen while moving. Owner of this car would also be able to change the exterior color of the vehicle by mobile app. When the owner feels more like highly elegant, black car, its possible, even if the car would be normally in some other color. The technology integrated to cover material works like a chameleon and a plant at the same time! At the moment, my vision of future is that people live in quite a robotic world and there are even more objects and materials running by electricity. There are also completely new technologies to create electricity and to clean up the environment. More and more industrial objects become organic or bionic. Many products or jobs that are obvious today, will be luxurious tomorrow. One of those is a car with driving pleasure and a driver. I hope that car manufacturers will always offer models with driver seat as well. Even if driving happens between the limits car has set, the driving pleasure is more, than by a completely robotic car. In the future, public transport will be even more common, but private cars will never really disappear. There will always be petrolheads, even if fossil fuel does not longer exist. Future Mercedes-Benz S-class buyer lives in the organic, bionic and robotic world. The world seems to be full of industrial design and huge cities that are never seen before. In future people respect nature more and more, so they are pleased to have some really organic objects inside their cars. The car can be a peaceful place to escape from the busy world. 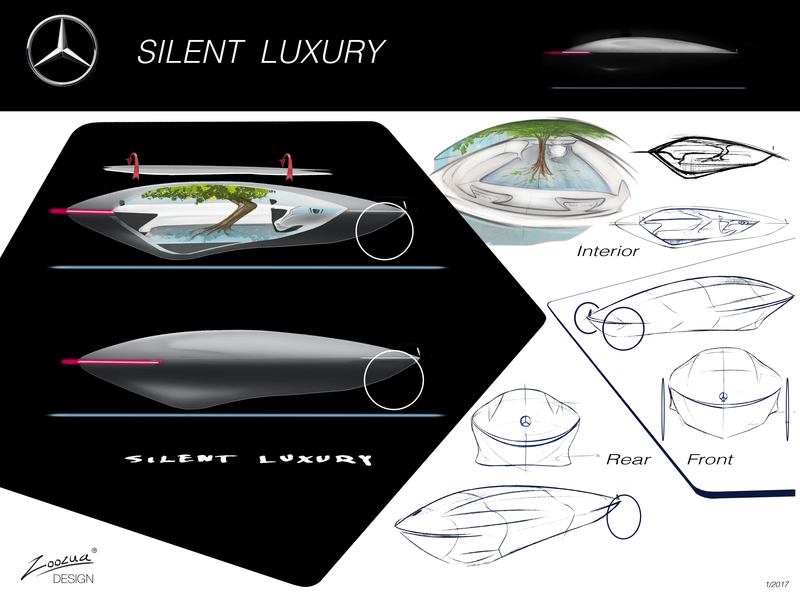 The concept Silent Luxury offers also a possibility to enjoy driving and to relax in that way. The car floats completely noiselessly and in a stable way on the road. But it reacts sportly by leaning corners, if the driver wants to. The design of Silent Luxury is very clean with high end materials and the modern, minimalistic design language. This design language is mixed with really organic shapes and materials like real tree. I think this contrast between industrial and organic takes Mercedes-Benz design language, sensual purity, into the new level, and even gives it the new meaning. -In Silent Luxury concept, sensual purity, means visual harmony between old and new, between organic and industrial. The design is all about visionary lines of exterior and emotions of interior. 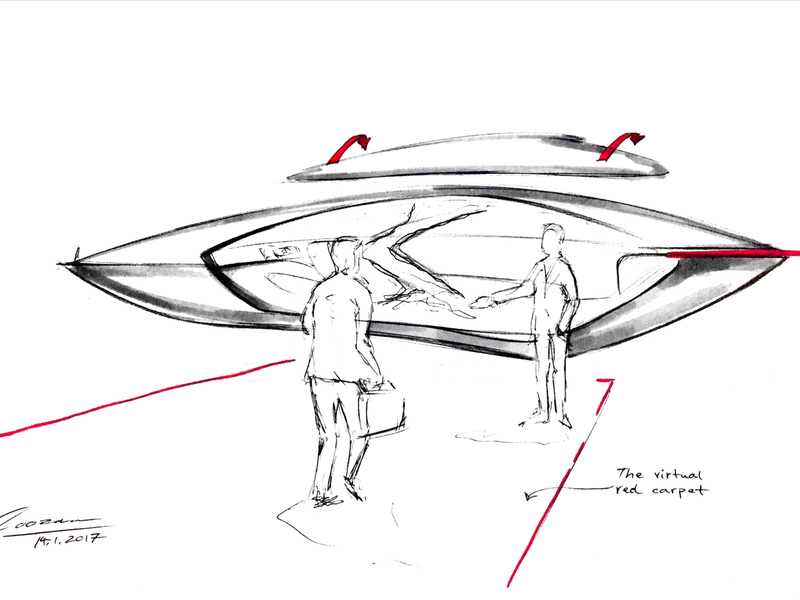 Please comment: What do you think about this visionary concept and future of automotive world?